There are a variety of home remedies for clogged drains that don’t require commercial products. One of the easiest drain cleaning solutions makes use of an ordinary plunger. A toilet tank lid that doesn’t fit properly is dangerous if it falls off the tank, and the noise of china scraping china is truly annoying. Watch this video for an easy fix to solve the problem. Watch this video to see how to mark PVC pipe accurately for a square cut by wrapping a strip of thin cardboard around the pipe. 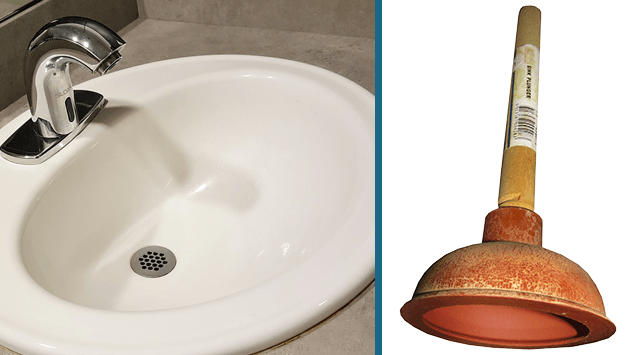 Watch this video for tips on how to use a plunger to unclog a bathroom sink drain in your home.